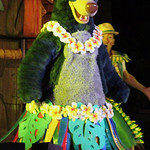 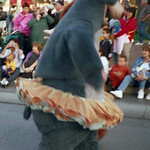 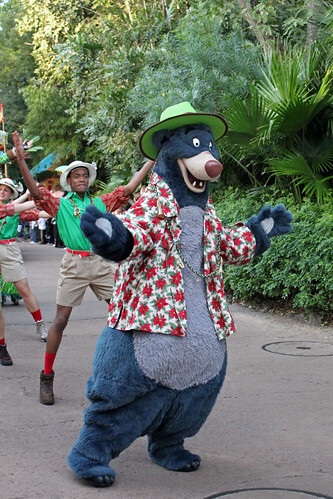 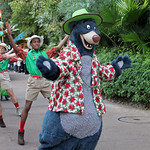 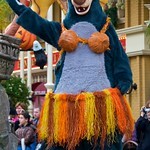 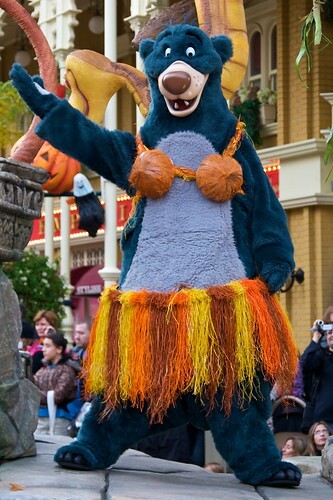 Baloo is the easy going, musical bear from the jungles of India. 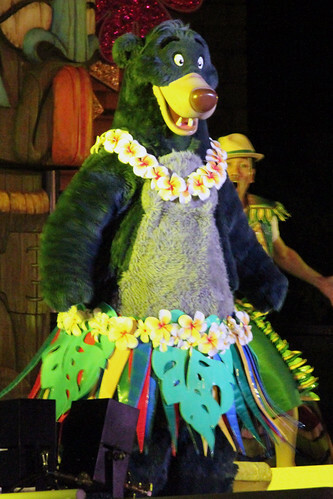 He befriends the "man cub" Mowgli, which eventually results in Mowgli discovering who he really is. 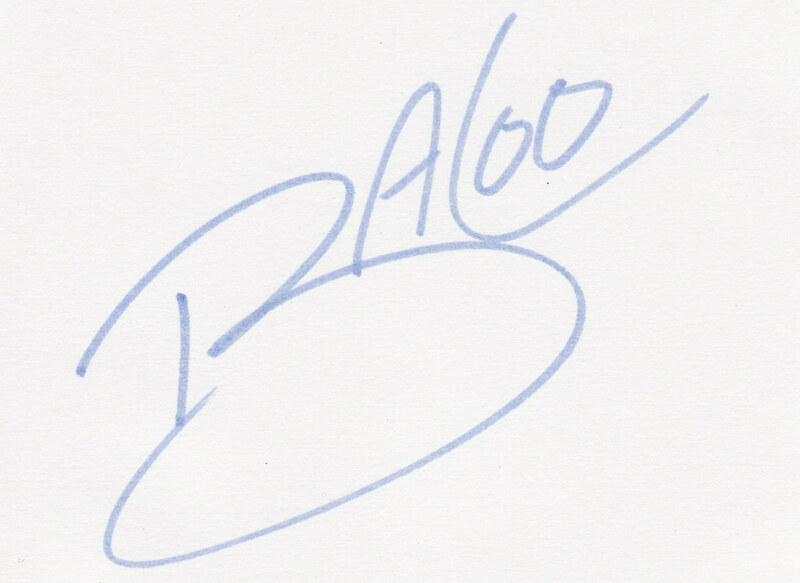 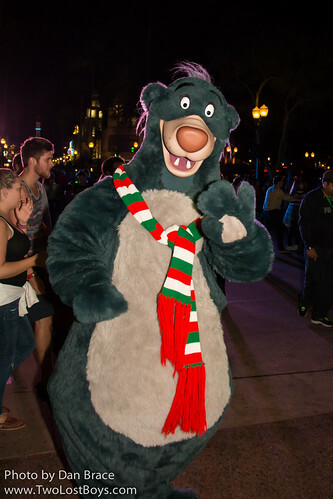 With his good sense of humour and caring attitude, Baloo is a superb friend and teacher. 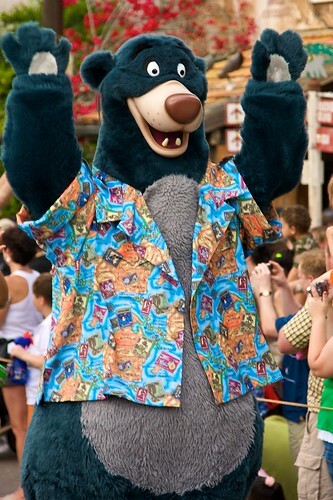 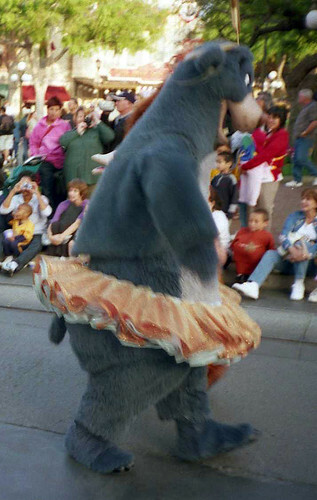 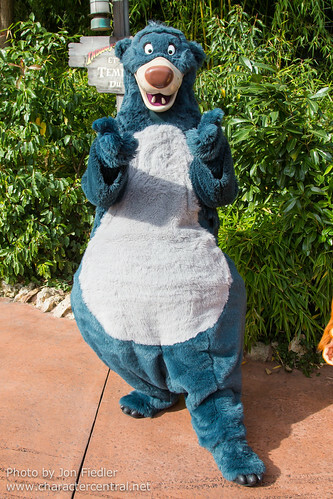 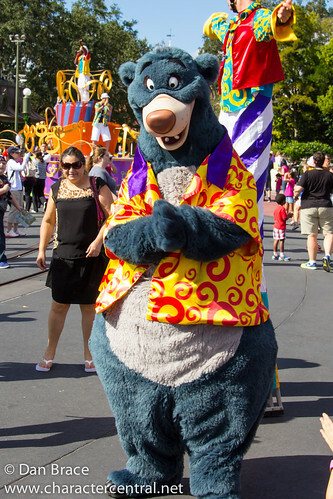 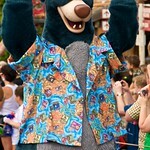 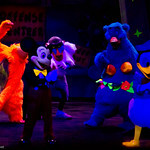 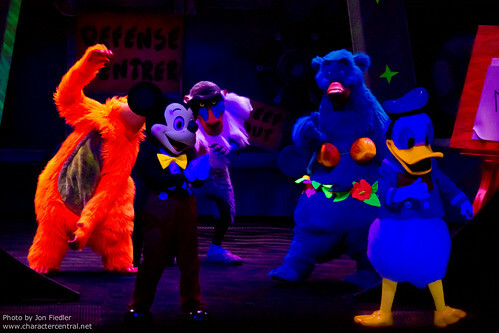 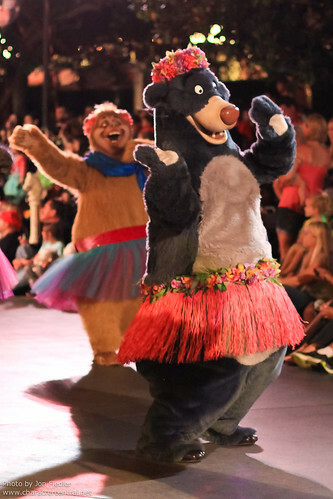 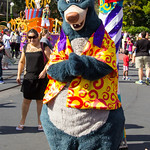 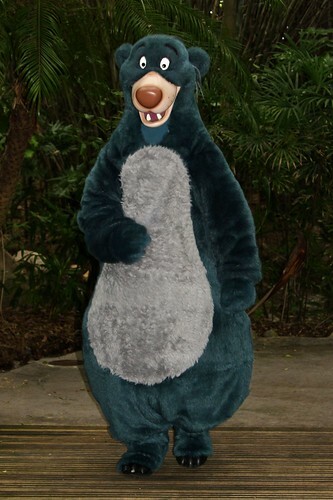 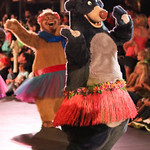 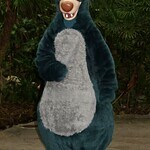 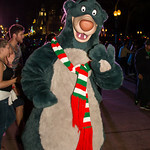 Baloo does not meet in California, Tokyo, Hong Kong, or on the Cruise Line.